While the Buffs have recently fallen on hard times, one thing in Boulder has gotten better and better every year - the food. We have a problem taking the term "best restaurant in Colorado" seriously, but those words are often thrown around when it comes to Frasca. To us, it’s too subjective a title - being a "best restaurant" anywhere means you’re good at literally everything; not just food, just wine, or just service and courtesy. So while we’re hesitant to hand out a "best restaurant in Colorado" nod (partly because we haven’t eaten everywhere in Colorado) we will admit that it only took a few trips to secure our very first Infatuation Denver 9.1 rating. Frasca’s focus is as much about wine as it is about food, but not in an mutually exclusive way. It’s based on an idea that balancing the two makes what’s best about both, better. They do this really well. Add in their amazing service and ambiance, and you've got something special. From start to finish on each visit, Frasca makes us feel at home. Members of both the front and back of house staff have always seemed almost humbled to host us and every single other guest in the dining room. No pretension or overdone coddling - just a sort of inviting warmth...only not in a freaky Hansel & Gretel kind of way. That being said, you will be exposed to some story hour time when the wine starts to roll out. Not just taste profile explanations, but actual stories and history lessons about where the wine comes from. Sit back and enjoy. It’s fun, educational, and you’ll likely hear them from a James Beard award winning Master Sommelier. The food at Frasca has a pretty simple focus in terms of preparation and presentation, but we can honestly say it has provided us with some of the best bites we’ve had in awhile. From the prosciutto and breadsticks to the Alaskan cod with trout roe, everything works. 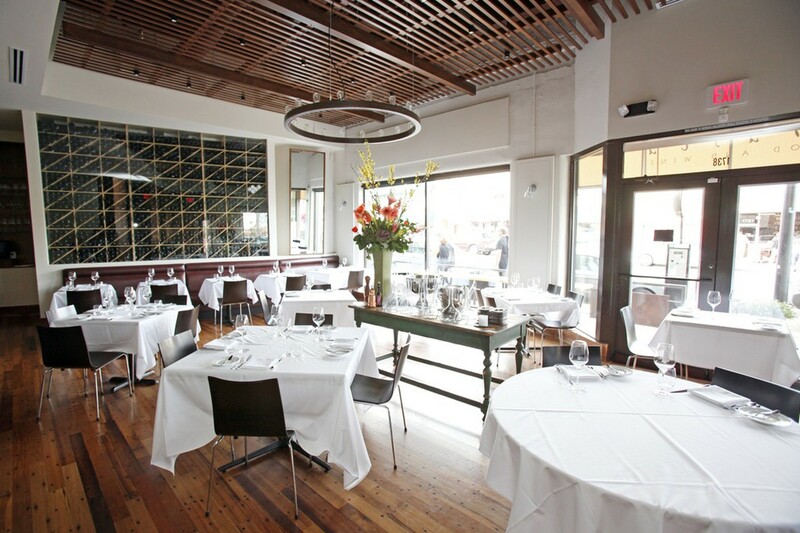 As mentioned earlier, we haven’t yet had a bad, or even mediocre experience at Frasca. But if we had to pick our favorite, it’s on Monday nights when they offer their pre-set tasting menu and wine flights. If you’re going for the first time, this is definitely your play. They do the work for you, and it offers a nice sampling of the menu. Think of it as a mini-camp before you take control of the ordering on your next visit, which you’ll definitely be planning. We’re actually planning ours right now. Basically a rocking charcuterie plate with paper thin prosciutto, speck, and a handful of other treats. This should be available on Mondays and any other time you go – and you should get this every time you go. Wagyu beef, prosciutto, and romanesco – one of the best penne bites we’ve taken. Melt in your mouth, with a hint of salt from the prosciutto to close. Close your eyes when you eat this. Berkshire pork and polenta – coming off the penne, this had a lot to live up to, and didn’t disappoint. Not our best dish of the night, but would’ve probably been the best dish anywhere else in Boulder that night. Winter citrus, ricotta, and orange agromato – a nice little sorbet/ice cream dish to cleanse your palate, but we would have rather had more prosciutto for dessert. Finish strong. A really good variety of cheeses with sweet and savory accompaniments. Woodgrain serves Montreal-style bagels, and they're some of our favorite in town. Go for the breakfast bacon, egg, and cheese. A lively spot serving some excellent pasta - come with a group. Denver's downtown "power lunch" gets redefined, just make sure you can expense it.